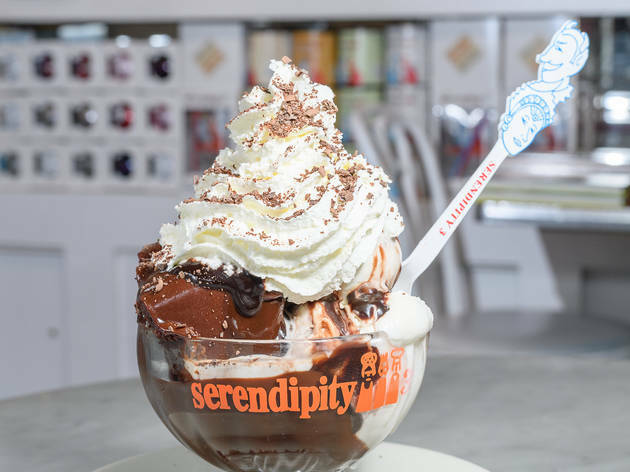 We have the sweet deets on the most tempting, towering and tasty ice cream sundaes this city has to offer. You ready? Thought so! 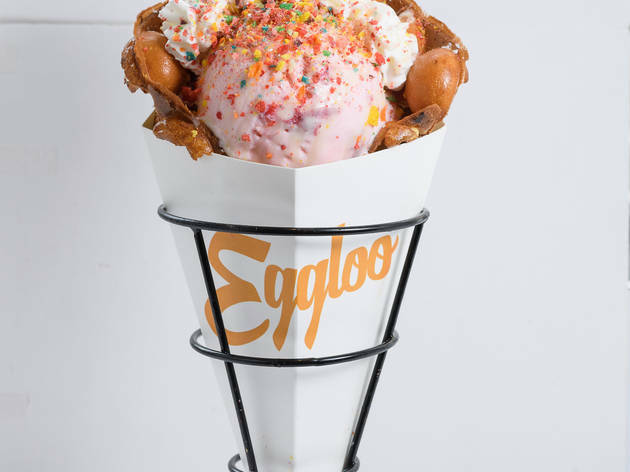 Dig into our list for the best picks from ice cream shops like Morgensterns, Sprinkles Ice Cream, Jahn's, Big Gay Ice Cream and more—even "personal" sundaes like the waffle cones from Eggloo (until someone snags a bite, that is). Looking for more of a sugar rush? Check out our favorite cookie delivery services, ice cream shops, candy stores in NYC and even these make-at-home popsicle recipes for kids (and you)! Shopping for a birthday? See our roundup of the best shops for kids' birthday cakes. 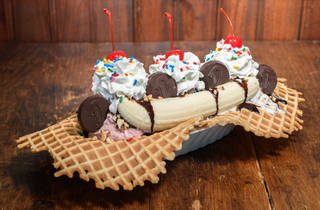 mother of all classic sundaes at this retro ice cream parlor, with locations in Manhattan and Brooklyn. 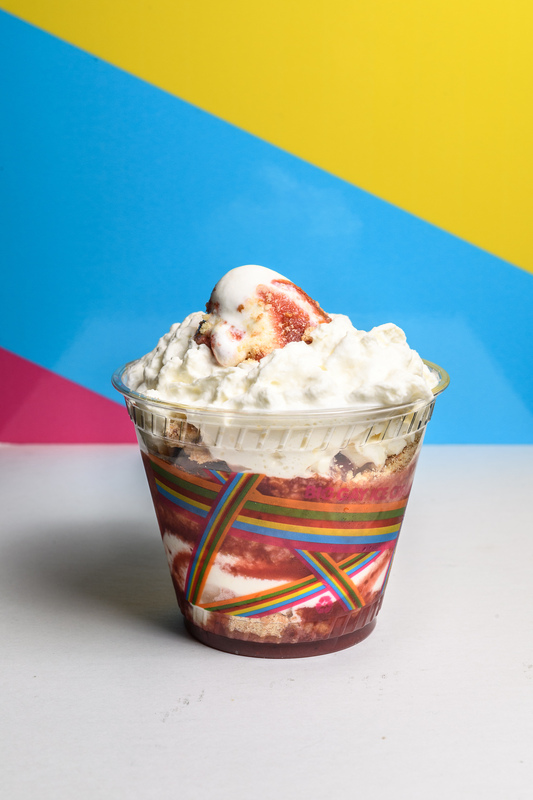 Packed into a waffle bowl made in-house, three scoops of ice cream get topped with a split banana, homemade sauce, cut strawberries, chopped peanuts, whipped cream and three maraschino cherries. This supreme banana split is an ideal choice for even the pickiest kid, and it’s big enough for the whole family to share. Various locations (daveysicecream.com). $14.25. 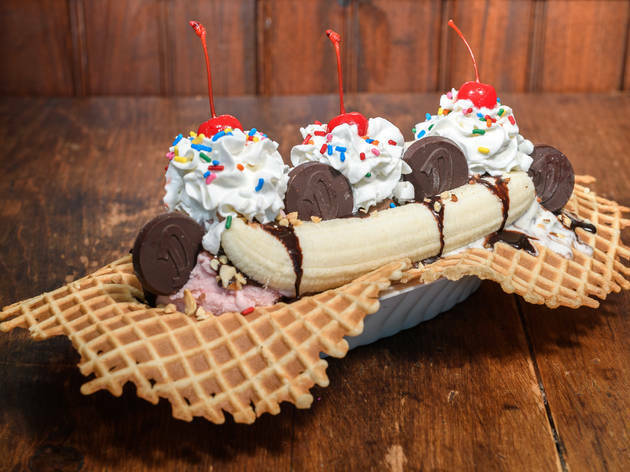 It’s hard to choose just one option from the menu full of unique combinations at this dandy ice cream parlor, but we doubt the kids will go for the avocado ice cream toast variety (no matter how well it pairs with your Sunday brunch plans). 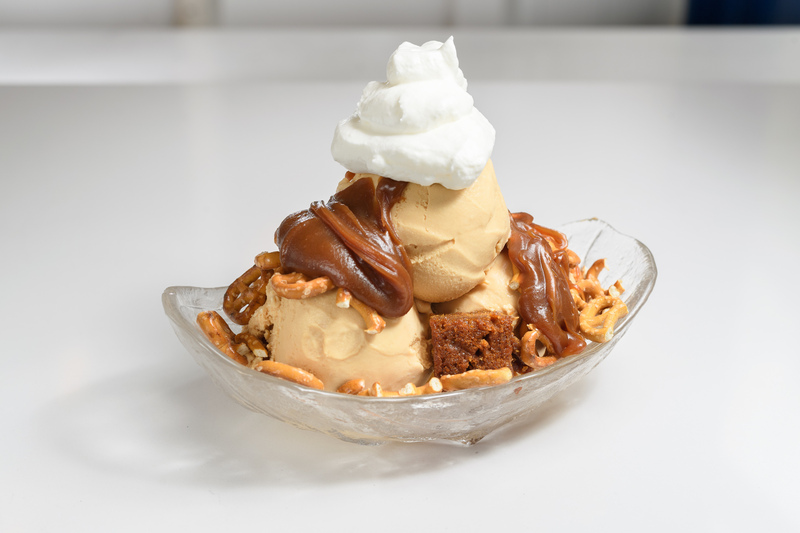 The Salted Caramel Pretzel strikes gold with salted caramel ice cream mixed with pieces of caramel cake and covered in crunchy pretzels and rivers of caramel syrup. 2 Rivington St (212-209-7684, morgensternsnyc.com). $13. 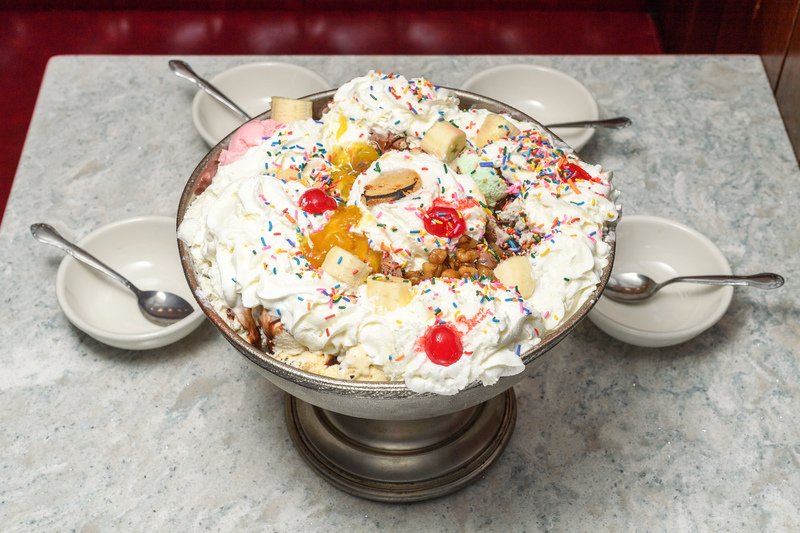 This is the granddaddy of all ice cream sundaes. No, really: Jahn’s, in Jackson Heights, Queens, is the last outpost standing of one of the oldest ice cream chains in the country. (The first Jahn’s opened in 1897!) By far the most popular creation that your parents probably still remember is (Everything Else but) The Kitchen Sink. 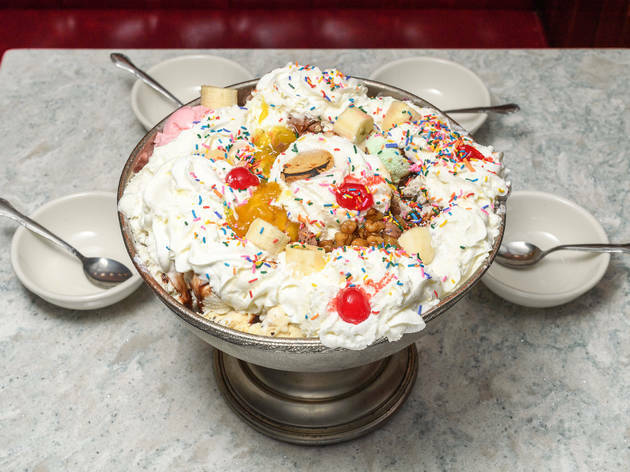 The gargantuan sundae can feed eight people with its whopping 30 scoops of ice cream and generous toppings. 8104 37th Ave, Queens (718-651-0700). $51.95. This shop may be known for its creative cones, but you’ll have no qualms forsaking lickability for the Gobbler Sundae. Described by the company as “pie à la mode, but upside down or inside out or something,” the Gobbler certainly is something. It’s like two treats in one, and when was the last time you told your kid they could have more than one dessert? 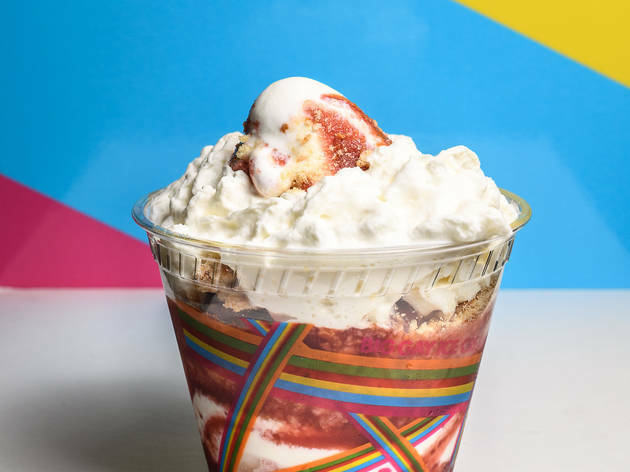 The Gobbler’s flavors are updated seasonally, but certain flavors, like the Shortberry Strawcake Gobbler, are available year-round. Various locations (biggayicecream.com). $6.50. 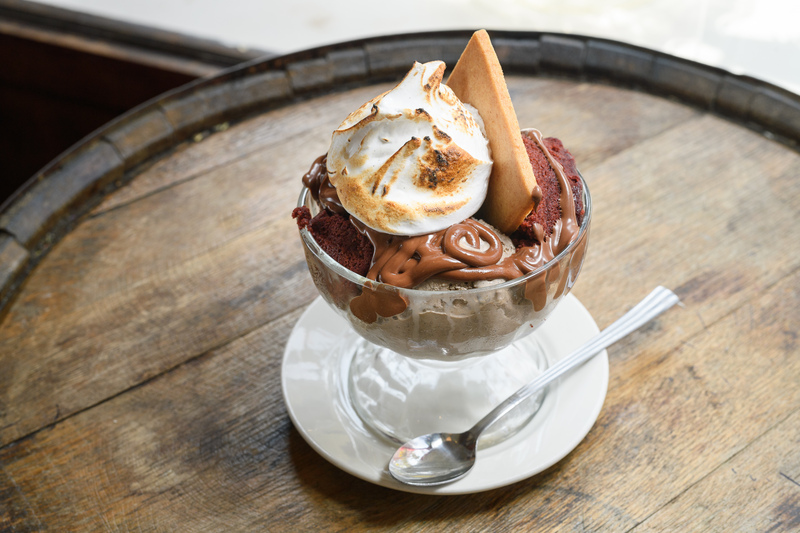 Brooklyn Farmacy’s twist on the classic campfire confection turns tradition on its head. 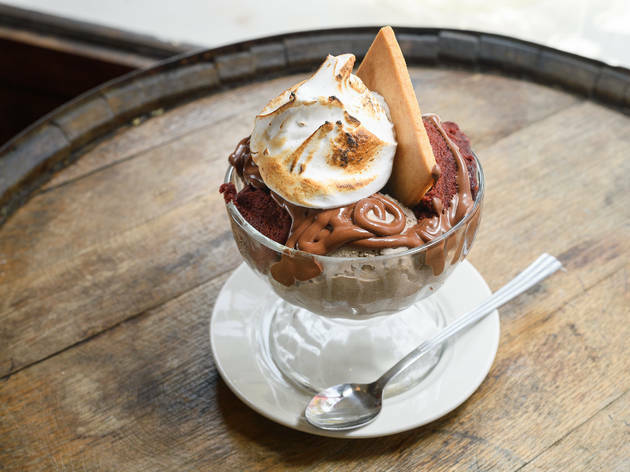 The sundae More Is S’More at the buzziest ice cream shop in Brooklyn features red velvet cake (we’re hooked already!) that’s topped with chocolate, vanilla and coffee ice cream before being smothered in Nutella and homemade toasted-marshmallow fluff and served with a graham cracker. 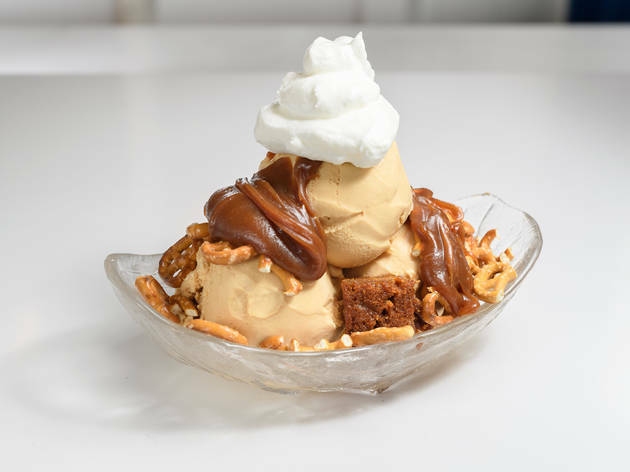 This sundae has us singing “KumbaYUM”! 513 Henry St, Brooklyn (718-522-6260, brooklynfarmacyandsodafountain.com). $16. 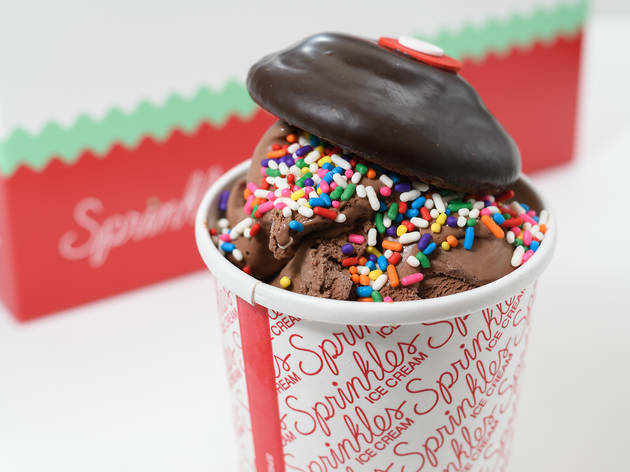 Yes, you read that right: Sprinkles may be known for its cupcakes, but this made-to-order treat smashes an entire ice cream sundae in between the top and bottom layers of a classic cupcake. When you take a bite, first you get sugary-sweet frosting, then creamy, decadent ice cream, and moist cake finishes the bottom third. Don’t forget the napkins! 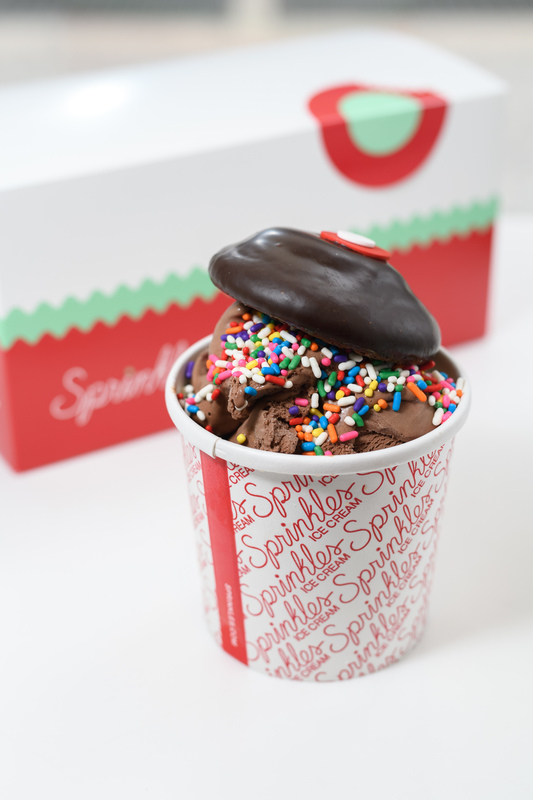 Various locations (sprinkles.com). $6.95. 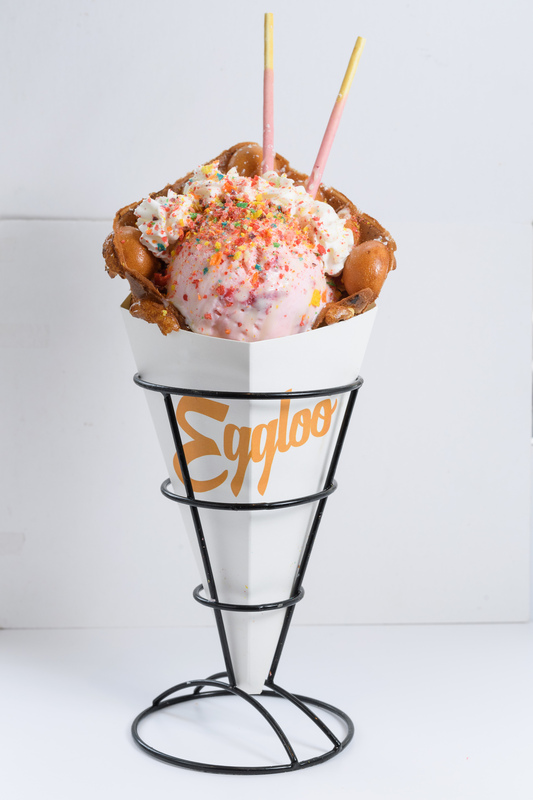 Eggloo serves a twist on the Hong Kong street food version known as gai daan jai, or “egg waffle.” The completely customizable ice cream sundae/waffle cone mash-up starts with a cone-shaped waffle made from egg batter. The cone itself looks like edible bubble wrap, with 30 individual waffle bubbles. Each cone is stuffed with ice cream and unlimited American and traditional Chinese toppings, like Fruity Pebbles, Oreos, Pocky and mochi. This frosty handful is a cultural lesson and a refreshing warm-weather treat all in one! 60 Mulberry St (myeggloo.com). $9. 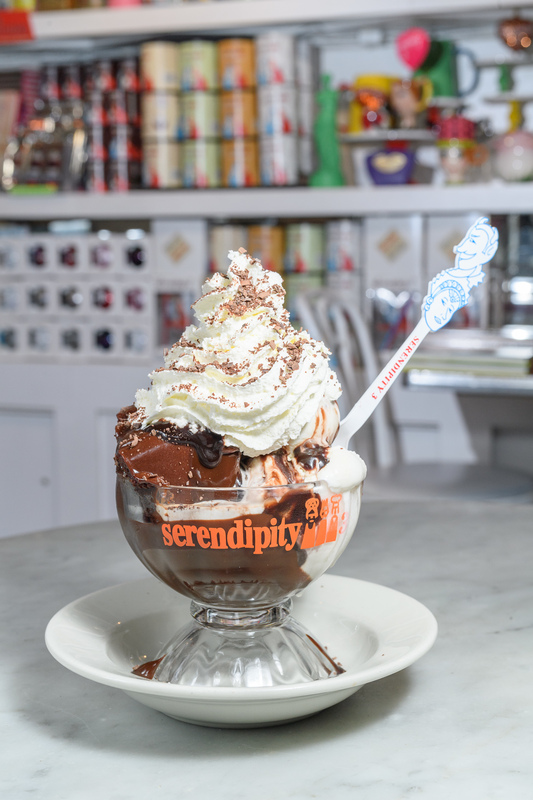 At the iconic Serendipity 3, the Golden Opulence Sundae may get all of the fame and glory, but the Forbidden Broadway is arguably more decadent (and won’t put a $1,000 dent in your wallet). This sundae is a chocolate lover’s dream come true: A thick slice of chocolate blackout cake is loaded with ice cream (your flavor of choice) and drizzled in hot fudge sauce and whipped cream. This dreamy masterpiece is large enough for an entire family to share. 225 E 60th St (212-838-3531, serendipity3.com). $15.